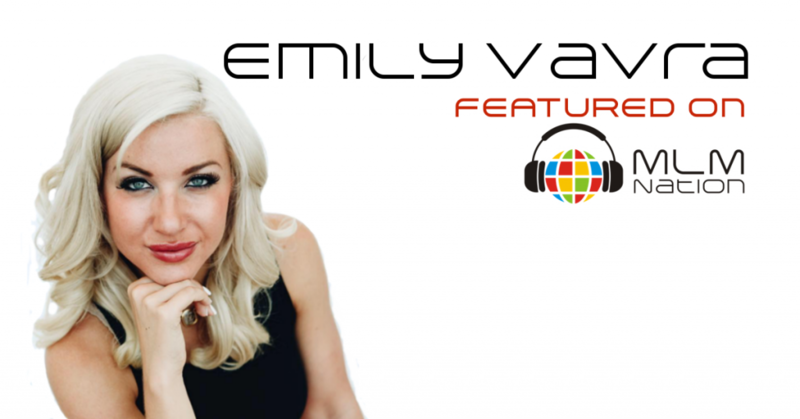 Emily Vavra launched her MLM business at the age of 23 in August of 2010. Her husband, Hayden joined her in the business a year later. Neither had ever thought about doing Network Marketing as they were both pursuing other careers. Emily was a massage therapist rehabbing major weight loss patients and Hayden had just finished up his pre-med degree while working toward a professional football player. But thanks to MLM, not only were they debt free by the age of 26, they’ve now helped more than 60,000 people achieve physical transformations and improved health. Many of those people are also creating wealth and financial freedom. Emily and Hayden have won numerous awards at their company including the 2014 Couple of the Year Award and they are the youngest couple to become millionaires in their company. They’ve had the opportunity to share the stage with Eric Wore and Tony Robbins. Emily was most recently a keynote speaker at Multiply Leadership with John Maxwell as well.